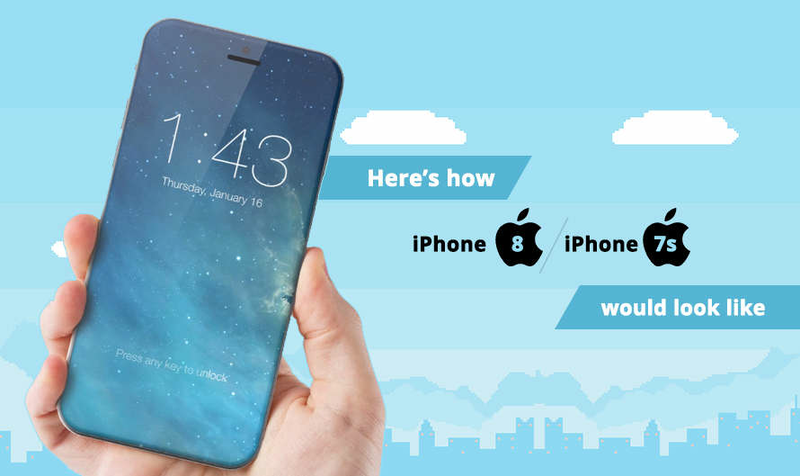 Here’s how iPhone 8 would look like - Get a Sneak Peak! iPhone 8 is back in the news and it’s possible features and advancements are running all over the internet. One can never be sure what Apple might have in store for its next product after the iPhone 7. But before we get there, let us be on the same page, that we aren’t sure when it might be released. 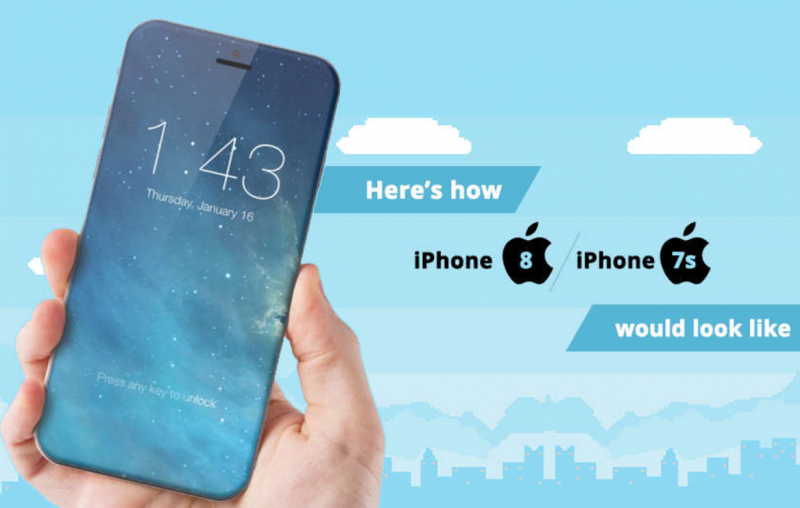 Following the 9-year-old trend, iPhone 8 might be launched in September 2017. The Glass back design was used in the iPhone 4 and iPhone 4s back in 2010. Rumour has it that the iPhone 8 would make the glass design alive again. Advancements in Gorilla glass’s strength and malleability makes it seem possible. So apart from Samsung being explosive, it also featured a curved display screen which went all the way to the side panel of the phone. Now rumour has it that Apple has got its hands on the patent of the curved display panel for mobiles as well. So one can expect the new iPhone 8 to exhibit this feature as well. iPhone’s next update is not all about the painting the car and leaving the engine untouched. We have reasons to believe that the new iPhone 8 could come with a faster A11 processor. Though it’s still in the testing phase, the productions variants should be ready with Apple in 2016. This means the processor’s gonna take a lot less space while being faster than before. Will the iPhone 8 get the headphone jack back? Are you concerned with iPhone 8 urf iPhone 7s would look when it comes out? Stay tuned to know all the buzz around new iPhones. If you know more on this, feel free to comment. Previous article Mi Mix's Edge-less Design: Is the world ready for it yet? Xiaomi Mi Max 2 128GB – Redefines the Beast Experience!